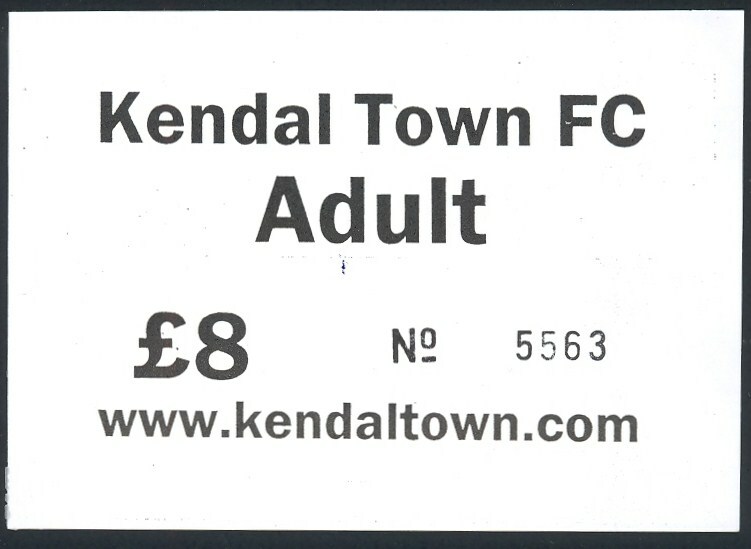 Kendal FC play in the Evo-Stik (Northern) League Premier Division which, if I have grasped things properly, represents level 7 in the English football pyramid. This would suggest, in theory anyway, that Kendal FC are just three promotions from the Football League, although I would hazard that The Cosyseal Stadium for all it's charms would not remain the club's home, should it ever atttain those rarefied heights. Ambleside United presently (2012/13) play in Division One of the West Lancashire Football League, having won promotion the previous season. That is way down in level 12 of the pyramid. The club's Hillard Park nestling as it does in the shadow of Loughrigg Fell (I think), compares favourably with both Fort William's Claggan Park and Peebles Rovers' Whitestone Park as a candidate for the island's most picturesque fitba' location. Staveley Football club lie even further down the food chain; in this case the Westmoreland Football League, where they can presently be found flirting with relegation from Division One. I note that one of their rivals in this league is Ambleside United's reserve side. If this grade of football forms any part of the pyramid, I have been unable to unearth which level. I only detoured to take in Shap as I think it a great sounding name. I have for many years driven past signposts for the place on the M6, and have long promised myself a visit. The club are part of the same Westmoreland League set-up as Staveley, but currently compete in the third division of four. This oddly-named bunch play in the Northern League Division Two (pyramid level 9). The club spent much of their short life so far as Gillford Park, before becoming Celtic Nation as recently as 2012. Is this some sort of long game to sneak Glasgow Celtic into the English Leagues? If so, it is clearly the plan of someone in no hurry. Would have loved to have got into the ground and enjoyed a proper snapping session, but the place was well secured.